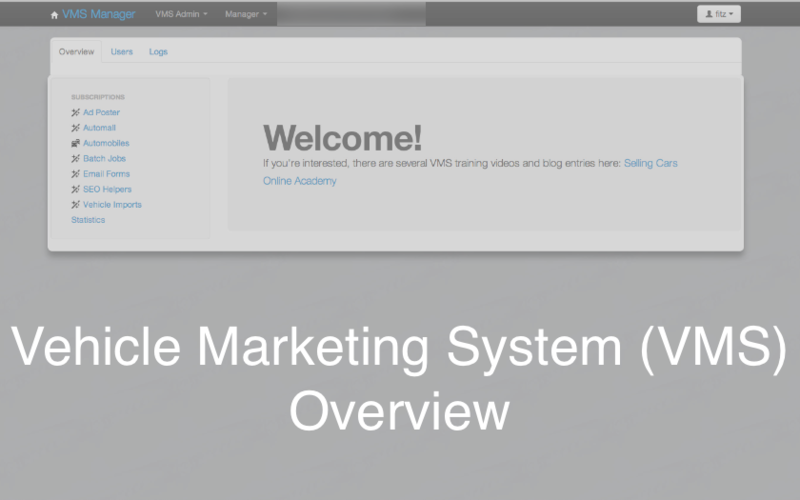 The Vehicle Marketing System (VMS) Dashboard or Overview screen is your starting point while making edits to your inventory. This quick video will describe the basic parts of the Dashboard so you’ll know your way around. Note: This video shows the ability to add videos within the vehicle description field. This function has been updated and is now a single URL entry form that will display the video on the site.